Is your home in need of some extra space? As your children get older, your family home can begin to feel cramped. To solve this problem, turn to Premier Building Services, a company that specialises in house extensions. Bournemouth residents can arrange for a survey to be carried out by contacting a member of our team on 07802 693464. When it comes to home improvements, it can be incredibly stressful, particularly if you are undertaking a large project. Our dedicated workforce at Premier Building Services is here to alleviate your stress. We construct beautiful house extensions in Bournemouth, so you can get the extra space that you have longed for. Over the years, your home can somehow feel smaller; perhaps that’s because your children are grown adults or you have accumulated so many possessions. Whatever the reason, you may consider moving to a bigger property. However, why not ponder a much cheaper option? You can get everything you desire by considering house extensions, Bournemouth clients. This is one of the services that we provide at Premier Building Services. Our team of experts will construct a space that suits your requirements and specifications. We have built many Bournemouth house extensions for a variety of purposes. It is entirely up to you how you decide to utilise the space and rest assured that your ideas will be at the forefront when we design the extension. 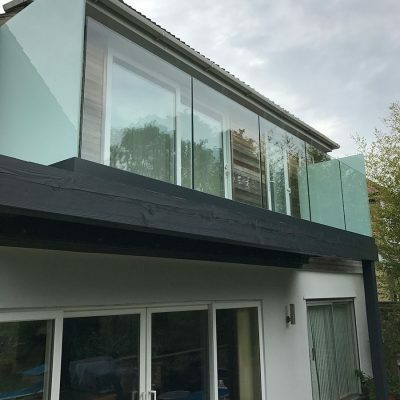 While the idea of house extensions in Bournemouth may seem daunting due to the amount of work and possible cost, there are plenty of benefits. If you decide one day to put your property on the market, then the value of your home will increase. So, not only will you have the extra space that you need, but you will also bump up the price of your property. Each member of our team is fully qualified and certified to complete any of the projects above. While we are a professional outfit, we are also friendly and approachable. So, if you have any questions regarding Bournemouth house extensions, do not hesitate to get in touch. Since we were established in 1985, Premier Building Services has become the go-to company for renovations and house extensions in Bournemouth. There is a family feel to our business as Steve Cornick runs the company, while his wife Lynda manages the office on a part-time arrangement. Our personable approach is among the aspects that make us stand out from the crowd. We have a defined system in place to make sure that we do not miss a single detail. When you enlist us for house extensions, Bournemouth residents will receive an initial survey. We will take a look at your site and assess the current condition to see if it is ready to be built on. You will play a huge part in the process as we want all your ideas on style and presentation. Our qualified team will then create a rough design, including the features and elements that you have requested. Rest assured that when you undergo this initial process relating to your house extensions, Bournemouth residents will not have to pay. We will provide a free no-obligation quotation, so you have nothing to lose! If you would like to learn more about our stellar services, then get in contact with a member of our team today. We can take care of a range of projects, including house extensions. Bournemouth is where we are based, and you can reach us for your free quote by calling 07802 693464. Alternatively, send an email to info@prembuild.co.uk or contact us by filling in our online form.